CJ Archives - I want a Jeep! 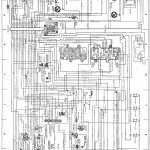 Jeep Wiring Diagrams for different models seem to be hard to find or at least, lots of people looking for them, I have found one for the CJ Jeep Wrangler that is posted below. It shows the Wiring diagrams for I think all CJ models and all major electrical areas. The Jeep CJ3B – what is it?